I have climbed over five torn books, an array of plastic toys, dried up rice, a green highlighter and a lot of laundry to make it to my desk today. I’m trying to stop myself from looking around too much so I don’t have a full-scale FREAK OUT. The minute I bend down to pick something up, sweat pours out of my face, so I sit down again and decide that I’ll try again tomorrow. Five things I’m tired of at the moment: thick summer heat, cooking, doing our tax, no cupboard space, hair regrowth. 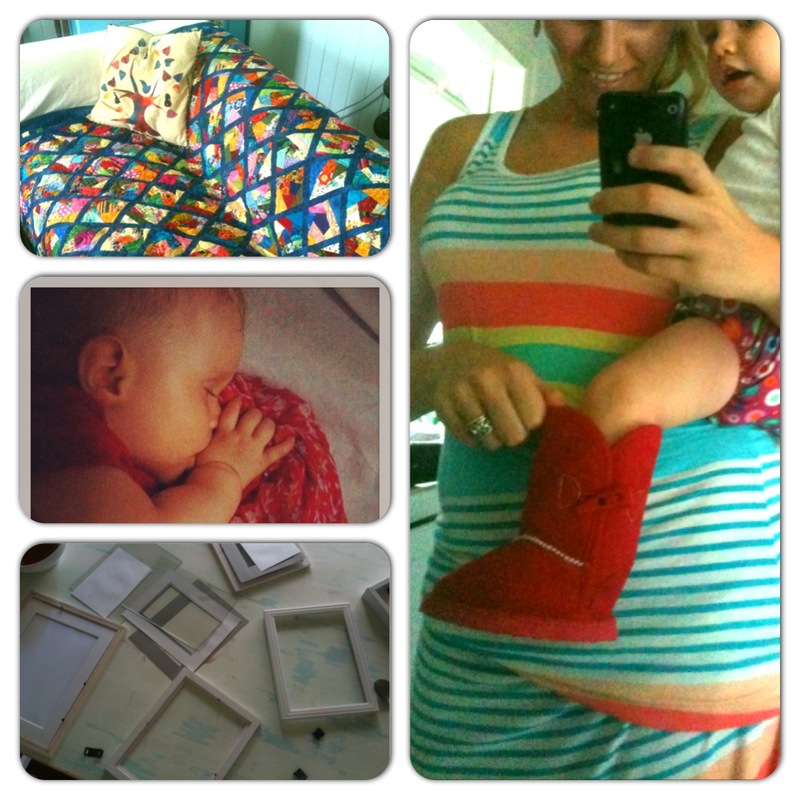 Five things I’m not tired of: morning coffee, taking photos, colourful rugs, pouty kisses, blackboard paint. The heat is making my thoughts really weird, and trying to turn them into sentences is even weirder, so I’m going to just tell you some random facts and hope that’s enough for the moment. There are 5 different coffee cups strewn across my desk and I’m starting to wonder if maybe bringing a coffee machine into the house was such a good idea after all. I thought it was Saturday for at least 3 hours after I woke up today. Joel and I have started going to couple’s counselling because, really, loving someone as imperfect as you are does not come without its challenges. I can’t recommend it enough. Antique mugs with floral prints bring me an abnormal amount of happiness. I really need to clean the mould off the ceiling. I think I have a shopping problem. I’ve discovered Instagram and the tent has set up camp there. I don’t know what you’ve heard but I certainly did NOT nearly explode the vacuum cleaner. How are you flying this Friday? What’s making you happy? I hear you on the heat…and the mildew and the mould! I am so sick of feeling damp…and having everything that I touch feel damp too. And we bought a coffee machine and ever since then I have been drinking coffee like it is going out of style! Hot first thing in the morning and then iced after that. It cannot be good for me. Oh dear. Well let’s just close our eyes really, really tight and hope the mildew cleans itself. We have coffee to drink. Have a fab weekend too. p.s. I reckon he has the right idea – I could do with an extra brain, pair of eyes & ears, and many more sets of hands!!! Made up songs are the best. What a cutie.